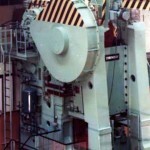 Rolling mills are equipped with shears in various designs for different tasks. 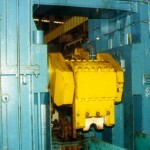 Flying shears in combination with straightening machines used in the process line. 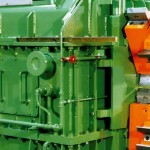 The stationary shear for sectional product is an alternative to the use of cold saws or abrasive cut-off machines. 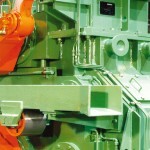 The shear featuring a cutting force of 6300 MN can cut sections and solid shapes of large dimensions. 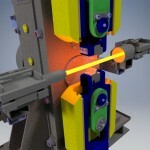 The double crank shears are using molding knives. These are during the shearing operation arranged perpendicular to the rolling stock….